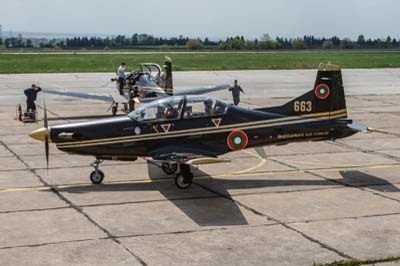 Bulgaria Air Force (Bulgarski Voennovazdyshini Sili - BVVS). 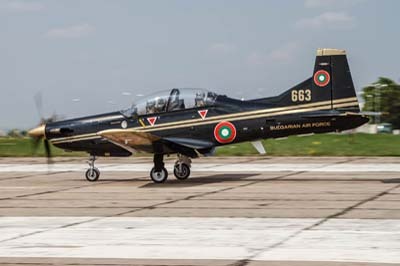 Based here is the 1st Training Squadron (1/12 Utchebna Avio Eskadrila - 1/12.UAE) operates the Aero L-39ZA Albatros and the Pilatus PC-9M. 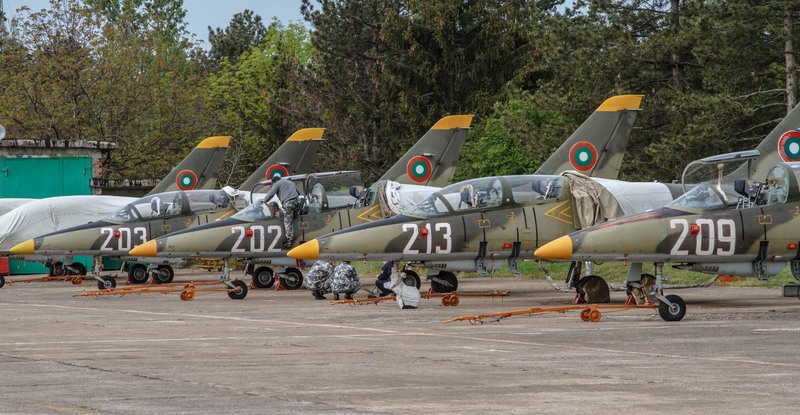 Dolna Mitropolia in 1939 was the home of the Bulgarian Ari Force Fighter School, which became the Air Force school in 1948. 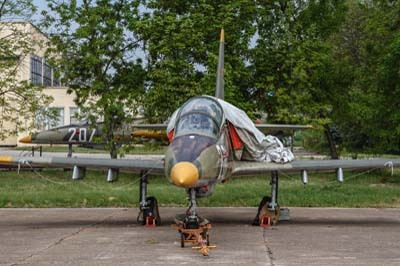 Today Dolna Mitropolia has vacated many of its buildings as the requirement for training has dramatically diminished since the end of the ‘Cold War’. Investment in the infra-structure and aircraft has been difficult to find. 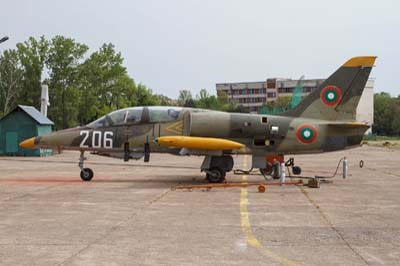 However, in 2008 the Ministry of Defence and the General Headquarters of the Bulgarian Air Force authorised the construction of a new aircraft control tower which was completed in six months. Air Traffic Controllers in the old tower were situated just three meters above the ground, the new tower elevates them to ten meters and provides for enhanced overall visibility. 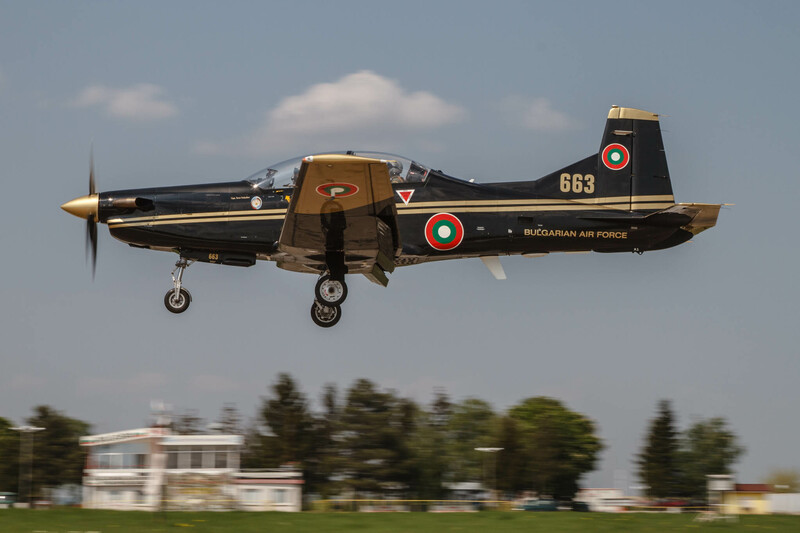 PC-9M (663) touching down at Dolna Mitropolia after a 40 minute training sortie. 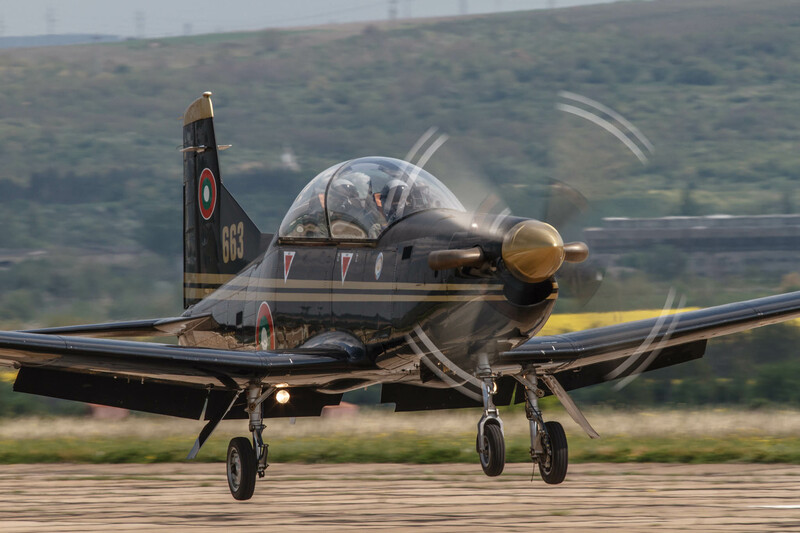 Currently the only flying training conducted by 1/12.UAE is with six Pilatus PC-9M turboprop trainers which were delivered to the BVVS from November 2004 (serials 663 to 668). An option for a further six aircraft has yet to be taken up. 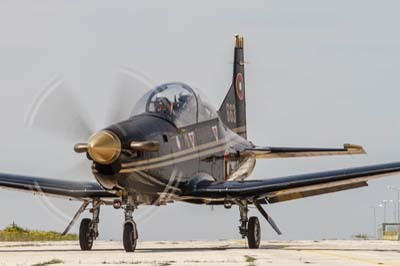 The PC-9M replaced the L-29’s which were retired in 2002. 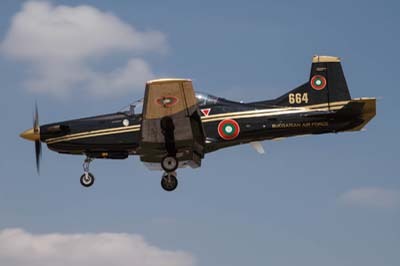 Pilatus originally worked with the BVVS to design the training syllabus, which then consisted of 180 hours on the PC-9M followed by 60 hours on the L-39ZA as a lead-in for fighter training. 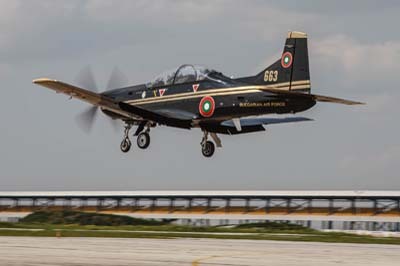 With the grounding of the L-39ZA’s basic and advanced flying training is left to the PC-9M. As with all things associated with the BVVS, lack of funding is making life very difficult for the hard-working servicemen. 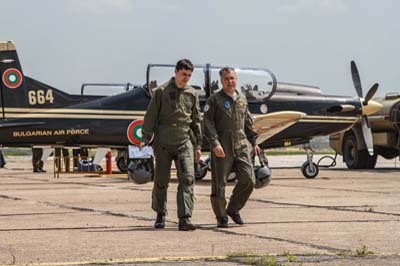 Left: PC-9M instructor Maj. Plamen Popov discusses his student's flight. 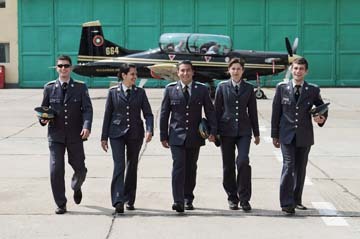 Right: The seven graduate cadets from the Bulgarian Air Force Academy at Dolna Mitropolia of the four flight courses the day before their passing out parade. 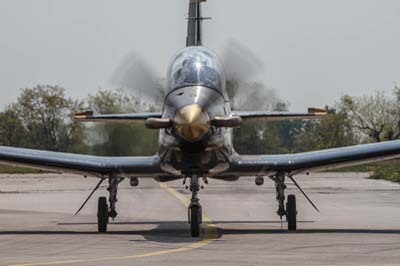 They have each done 55 hours on the PC-9M. 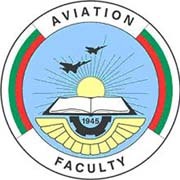 Their three year course concluded with flying in the final year. The two girls will be going to Krumovo, the men will be going to Sofia, Bezmer or Graf Ignatievo. 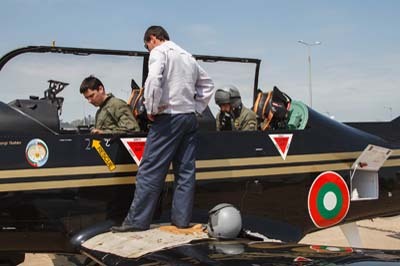 Left to right: Student and instructor prepare for their 40 minute sortie with the help of groundcrew. 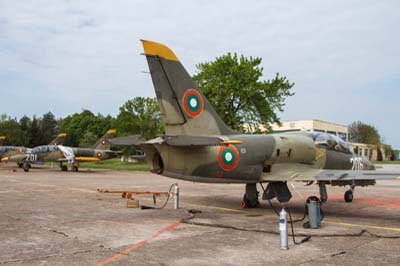 Left to right: PC-9M (664). 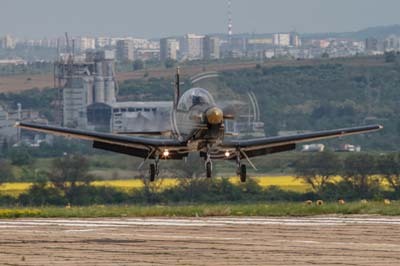 Left to right: PC-9M (663), the town Pleven is in the background of the second image. 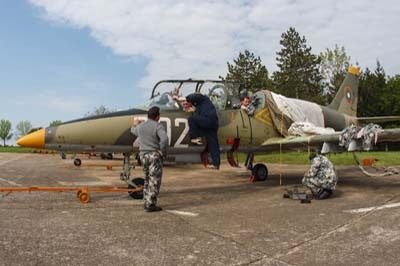 Twice a year the L-39ZAs are checked, including an engine run to make sure they retain an element of serviceability. 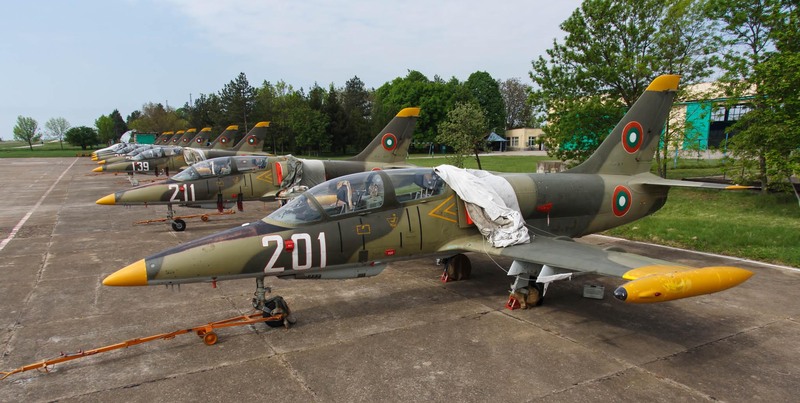 36 L-39ZA’s were delivered between 1986 and 1990 they were initially based at Kamenets. 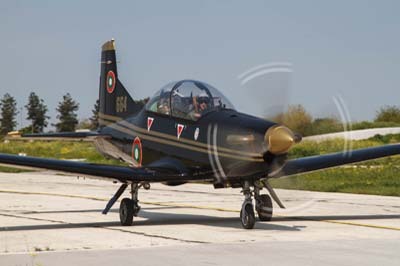 In 1996 it was decided that graduates would be better served by completing their 200 hours of advanced flying training at their future front line bases, consequently some L-39ZA’s were distributed to five fighter bases. 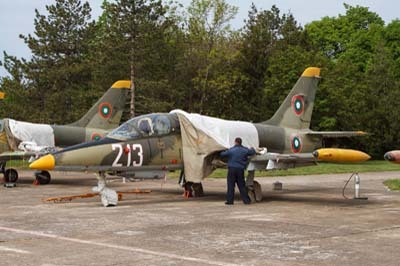 In 2002 when many air bases were closed they were relocated to Graf Ignatievo, to supplement flying for the MiG-29 pilots when their aircraft were being upgraded. 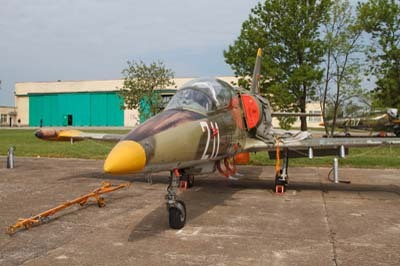 Later, six L-39ZA’s were sold to Cambodia in 1997 and another 15 further sales were made between 2002 and 2004. 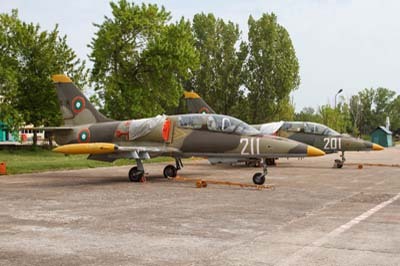 When Kamenets was closed in 2006/7 all the remaining L-39ZA’s relocated to Dolna Mitropolia. 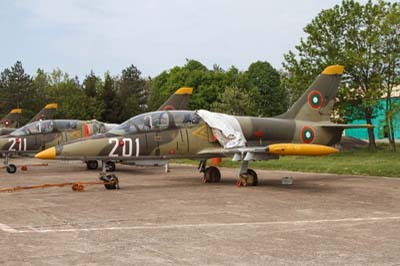 Twelve aircraft, plus two others for ground instruction, continued in service until 2007 before it was withdrawn from service. This was due to expired service life and a shortage of funds for spares and operating. 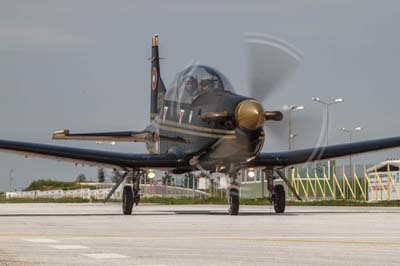 Since 2007 the twelve jets have been kept in good condition, they are waiting for funding for their re-introduction in to the pilot training syllabus. Every 30 days an aircraft technician checks fluid levels etc. 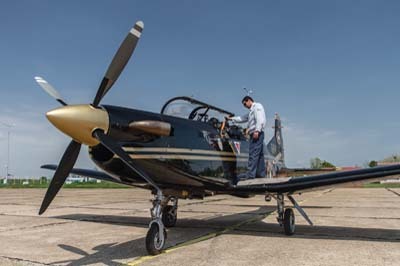 Twice a year the aircraft are checked, including an engine run, to make sure they retain an element of serviceability. 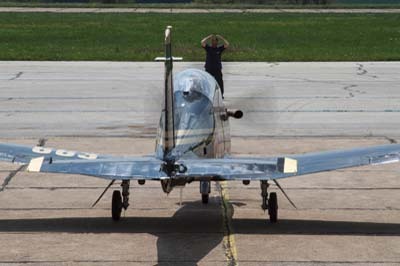 As time drags on and there is little sign of funding, the BVVS has now requested a budget of around 4 million euro for just four aircraft to be put back in to the air. 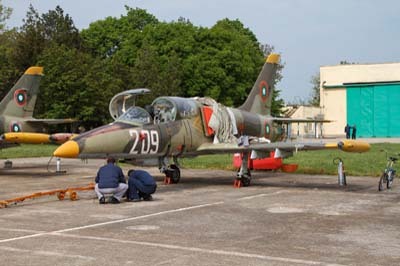 Nine of the L-39ZAs during their six monthly checks. 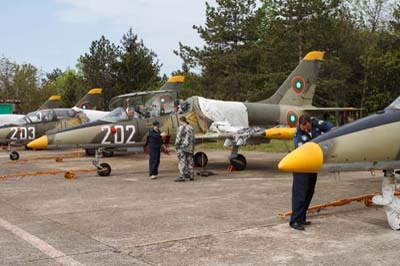 L-39ZAs (201, 207 in background and 211) during checks. 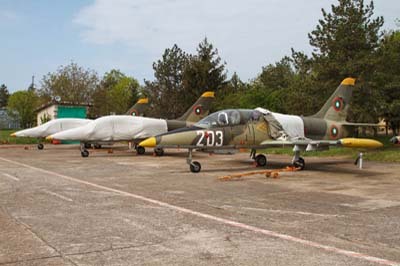 L-39ZAs (139, 209, 213 and 202). 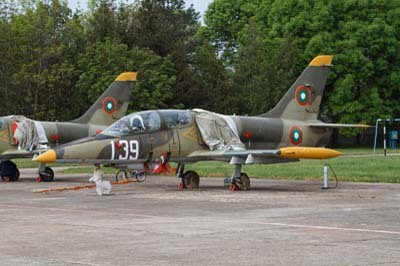 L-39ZAs (202, 203 with 137 covered and 205 or 215 also covered), L-39ZA (206) during an engine check. PC-9M (663) about to touch down in front of the new control tower, the old control tower is on the right. I would like to thank Lt. Ivan Donchev for his enthusiasm and friendship during and after his base tour.